Hidden away in the registry is a secret setting that will activate a special dark mode theme. 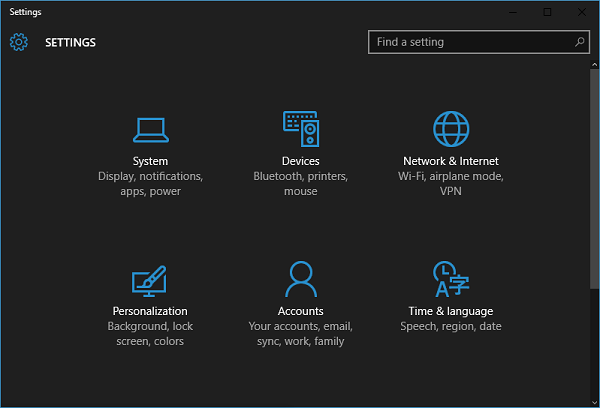 This new look applies to many of the new Windows Run-time apps including the Settings app. A simple registry tweak and sign off and back on is all that is required and you will transform many of the Windows 10 screens to something more friendly in the dark. The trick is to create a new registry DWORD under HKEY_CURRENT_USER, SOFTWARE, Microsoft, Windows, CurrentVersion, Themes and Personalize. Right click on Personalize and select New DWORD (32-bit value). Name the new DWORD "AppsUseLightTheme" and leave the value set to 0 to enable dark mode. To make it even easier, I created two registry files that you can just download and import to enable or disable dark mode. Remember to sign off and back on to change the mode.